Panasonic has announced the launch of the KV-SL30 series of hybrid scanners that promise to deliver greater scanning efficiency and lower cost of ownership for users. Panasonic has worked to improve the scanning time of the flatbed, reducing it by half compared to the previous model. The KV-SL3066 scans at 65ppm/130ipm and the KV-SL3056 scans at 45ppm/90ipm, making them the fastest of all Panasonic models in the same class. 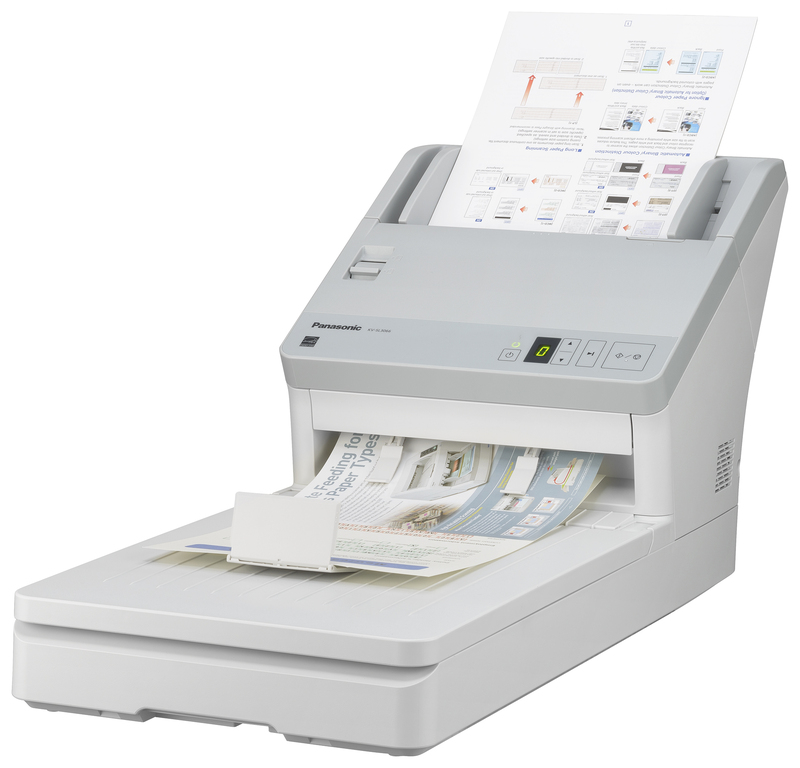 Depending on the documents, the scanner allows users to choose to scan documents from either the ADF or flatbed. Users can also opt for continuous scanning from both, changing the scanning order from one to the other, before saving as a single file. “In today’s business world, the ability to turn large volumes and multiple formats of paper-based information into easily manageable, highly secure digital data is critical,” explains Shinta Muya, Panasonic Marketing Manager for Communication Solutions. “The KV-SL30 series allows businesses to scan, share, save and secure data more easily and efficiently than ever before. Through the ADF, the scanners can process passports, multipage documents and bankbooks, mixed paper, up to three embossed cards at once and long paper formats, such as EKG documents. It’s also possible to scan damaged documents, booklets and business cards on the flatbed.